Faith is an important part of your lives and your love for each other. 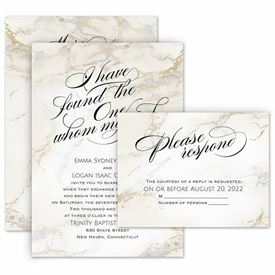 Here at Ann's Bridal Bargains, you'll find Christian wedding invitations that are stylish and meaningful — exactly what you've been looking for! View our wide selection of religious wedding invitations today and find the perfect one that expresses your love, faith and personality.